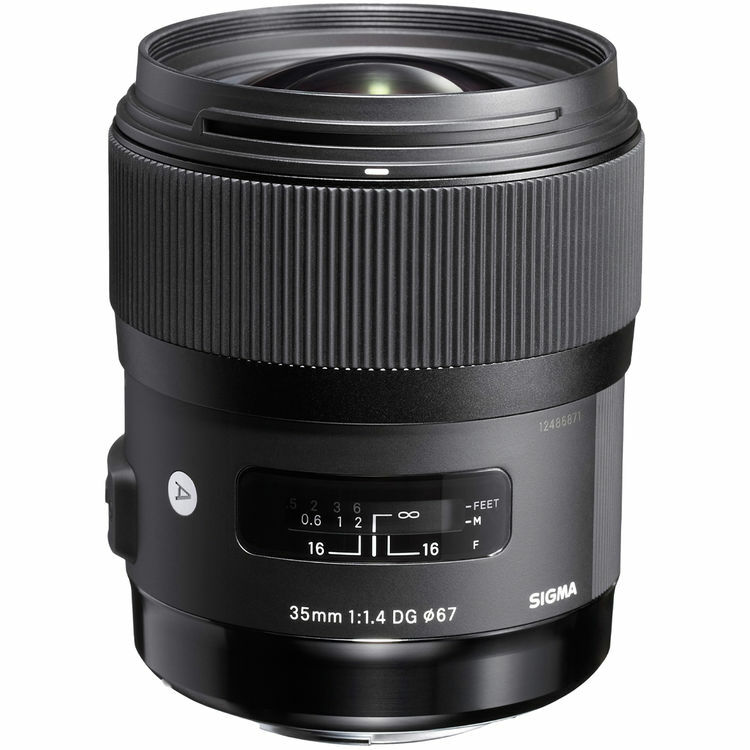 The 35mm f/1.4 DG HSM Art Lens for Nikon DSLR Cameras from Sigma is the first entry into Sigma's Art series of professional lenses, with an emphasis on artistic expression and the creative potential of the lens. With a bright f/1.4 maximum aperture, floating inner focusing system, and Hyper Sonic Motor (HSM) you'll have quick and accurate control over the artistic effects achieved by the lens' high quality elements. This lens has a minimum focusing distance of 11.8" so you can capture wide-angle close-ups from nearly a foot away. 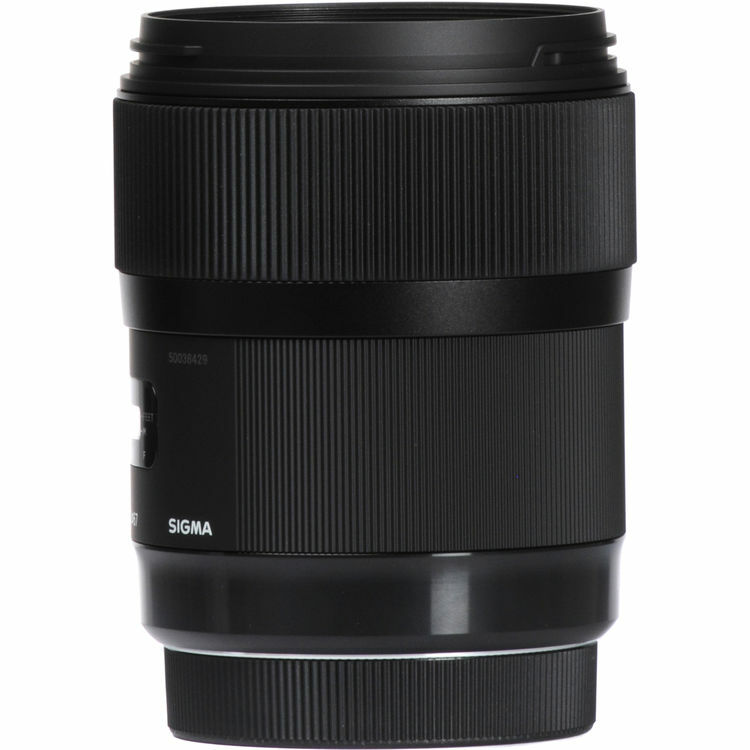 Because of its redesigned series of lenses, Sigma developed proprietary software (SIGMA Optimization Pro) and an optional USB docking system that allows you to update the lens' firmware and adjust its parameters such as focus. The 35mm f/1.4 DG HSM A1 Lens is compatible with the USB Dock. This lens incorporates "F" Low Dispersion (FLD) glass elements, which have performance equal to that of fluorite, and Special Low Dispersion (SLD) glass elements. By optimizing the power alignment of the lens, chromatic aberration has been corrected, achieving high image quality through the entire focusing range. Sigma has organized all of its interchangeable lenses into three product lines: Contemporary, Art and Sports. The Art line delivers high-level artistic quality with a focus on sophisticated optical performance and abundant expressive power. The SIGMA 35mm f/1.4 DG HSM is the first lens from the Art line. Developed with an emphasis on artistic touch, Sigma's Art line lenses are designed to meet the expectations of users who value a creative, dramatic outcome above compactness and multifunction. The 67mm front filter thread is fixed, allowing rotating polarizing filters to be used with the lens. For better usability, the designs of the lens cap and AF/MF switch have been improved, as well as the rubberized lens hood attachment. In order to ensure accuracy and precision, all metallic parts and the new Thermally Stable Composite material are housed internally. Limited 1-Year North and South America Warranty Against Manufacturing and Workmanship Defects.